The Children’s Reflexology Programme is typically delivered as a simple course of six, one-hour sessions, spread over six weeks and is taught by Jude Tait a fully t rained and insured instructor here at Escape Holistic Therapies. Contact Jude for further information and see Booking Form below. Review : “Completed another wonderful course with Jude last week Baby Reflexology, it was brilliant I loved the animals and the story woven into the course and a fab book to keep at the end. As usual Jude was fantastic with both mums and babies, took the time to make sure we understood the moves even when the babies were in different positions. As always a lovely atmosphere and I loved how the course was tailored to help many common baby problems and can be used throughout their childhood, Jude is obviously very experienced in reflexology and I feel I gained a good understanding of baby reflexology from her. Thank you once again”! Please see Face Book page :https://www.facebook.com/EscapeHolisticTherapies/ for more reviews, comments and information – thank you. These Courses empower parents and carers to be able to offer their children a non-invasive complementary therapy at home at any time of the day or night, from someone they love and feel safe with. The therapy is suitable for helping to cope with the ordinary stresses of everyday life by strengthening the bonds between carers and children, as well as targeting common childhood illnesses. The course shows you how to treat specific conditions of childhood and includes a series of handouts in the form of mini booklets that can be used by a parent or carer. A carefully designed series of rhymes, pictures and stories is used to engage the child and to help you to learn and remember the reflexology. All the courses are arranged by age groups, e.g newborns, crawlers, toddlers, preschoolers, mums of kids at school and so on. This is to relieve the stress of parents with young children and to enable the instructor to teach the appropriate course materials to the entire group. A special course is available for pregnant women in their third trimester to learn to give reflexology to their baby as soon as it is born. There is also a course for grandparents who don’t have their grandchildren with them but would like to learn the treatments for when they come to stay. This may be a good course to arrange for your WI or similar group. The Childr en’s Reflexology Programme really is for everyone and anyone who spends any time with children and would like to learn these wonderful techniques to use on the children they love in their lives. The cost of the courses will provide you with comprehensive, clear handouts – which is your medicine cabinet for empowerment whenever you need it, a certificate of attendance and a copy of the book the Mouse’s House. As well as all this you will get the wonderful benefit of coming to a class where you can get plenty of help and practice from a qualified instructor, meeting other like-minded parents & carers, socialising and perhaps even finding inspiration to become an instructor yourself. This programme is about empowerment on all levels. This course is specially created for couples or mums in their 3rd Trimester to learn some basic Reflexology techniques that can be used on your baby from birth. The course is designed to promote positive bonds between baby and their parents. These gentle, non invasive, techniques help parents to have a practical focus at a time that can often be overwhelming. Spaces are limited and booking is essential. Please ask Jude for more information. Further details to follow soon. This is where it all started! 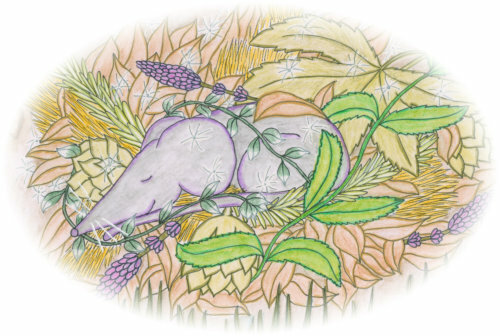 The Mouse’s House is a unique book that combines reflexology, a gentle non-invasive complementary therapy, with a delightful and engaging children’s story. The story is based on a group of animals, each one representing a different reflex area of the foot, with a foot map diagram to show parents where to work on the foot. As each character enters the story the story teller moves on to a new reflex area so that as the story unfolds the child receives a basic reflexology treatment. 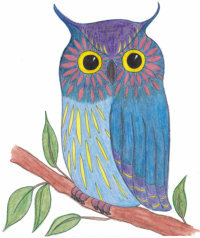 The programme was created by Susan Quayle, an experienced professional Reflexologist. This book is the foundation of The Children’s Reflexology Programme. I have specialised in Pregnancy Reflexology, which includes pre and post natal treatments, as well as Pregnancy Massage, Post Natal Massage and Baby Massage Courses too. I am passionate about the benefits that reflexology can offer children and their parents. As a parent myself I know how it feels to stand by helplessly as your child suffers in pain. It is the hardest thing a mother can endure to see her child suffer and be unable to do anything to help. Reflexology offers parents the opportunity to be proactive and actually help during these times of distress, while children find it easier to cope knowing that a parent is actively trying to help. It also offers a wonderful bonding experience, which can be particularly effective for women who suffer from post-natal depression. Children growing up with this story will, in time, be able to use it on their siblings and their own children, passing on this gentle therapy and the importance of self care to a new generation. The price includes all the workshops, plus a copy of The Mouse’s House and a set of comprehensive reference notes. Would you like to learn a new way to help you and your child through times of illness and distress? Help Mouse’s friends to make her a cosy nest… ..and learn to give your child reflexology! Any further relevant information about you, your baby, labour etc. Are you happy to be added to your Baby Reflexology Course Whats App Group? Payment to be paid at time of booking or least 2 weeks in advance of course start date either in cash or by on line banking. Please request banking details if required. The Baby and Child Reflexology is a gentle, relaxing, bonding activity. Never rush or force anything. Do not practice if you feel stressed or tense. Always ensure that you feel safe, secure and confident in what you are doing. Never do anything that you and your baby or child are not comfortable with. 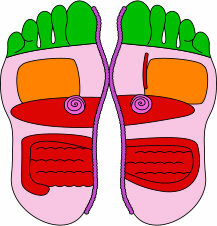 Reflexology is not a substitute for medical attention. If your baby is crying excessively and cannot be comforted, he/she may be ill. If your baby is limp, pale, has a temperature, or any difficulties breathing. Please seek appropriate medical help if you have any concerns about your child. You have read the general advice above and will follow it. You take full responsibility for yourself and your child, and for everything that happens to you and your child in relation to the course. If you have any doubts you will seek the advice of a medical professional before proceeding with classes. You will disclose any information regarding your own and your child’s health relevant to the class. You will keep the course tutor informed of any health issues that arise during the course, for both you and your child. You will not attend any class if you or your child are ill or there are any signs of sickness in the family. Places are subject to availability. In the unlikely event that we cannot find a suitable place we will refund the course fee in full. Refunds are not given once the course has started. Credits for future bookings may be given at our discretion. Cancellation by you must be made more than one week before the course starts or we will be unable to refund your money. Cancellation by us is unlikely but will entitle you to a full refund for any outstanding classes. We cannot provide refunds for missed classes. Safety is always our first concern but we will not be liable for any loss, damage or injury that may occur while attending the classes. You are responsible for all applications of Baby and Child Reflexology outside the classes both now and in the future. The materials provided are for use only by people who have successfully completed the relevant course and may not be copied for any reason. Please contact us for any further information you require regarding our Baby & Child Reflexology Courses. The Baby Massage Course is designed to teach parents a wonderful experience to share with their baby through massage. The course will help to provide a special time to communicate with your baby so they feel loved, valued and respected. You will learn to incorporate both Indian and Swedish massage traditions, as well as principles from both Yoga and Reflexology into your Baby Massage Routine. Massaging your baby provides a wonderful opportunity to express your love whilst meeting the need for touch and affection that is so essential for the healthy development of babies.